When it’s time to steer your interior in new, bold directions, let Martin Interiors Flooring America be your first stop. We are your source for waterproof flooring in Wooster, OH. With our wide-ranging selection of flooring, helpful and knowledgeable staff, and timely installation solutions, we make remodeling a fun and seamless experience. At our showroom, we believe in a client-centered approach to service. Simply put, we’re here for you! Arrange a consultation with one of our team members, and we’ll help plan and coordinate your remodeling project. From flooring to window treatments and paints, we have you covered. We’ll even arrange waterproof flooring installation by trusted professionals. From start to finish, our showroom is with you every step of the way. Laminate: The value-minded property owner is right at home with waterproof laminate flooring. With its comfortable underfoot feeling and resilient surface, this flooring is great for rooms that encounter frequent foot traffic. 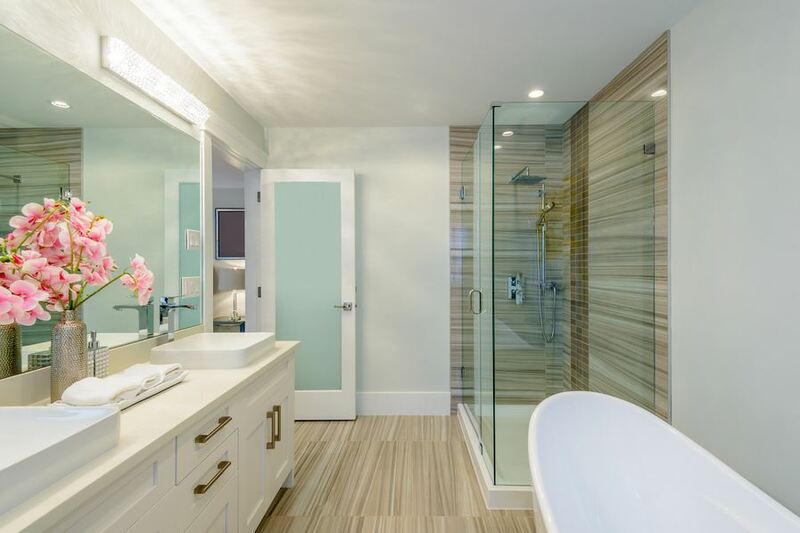 Luxury Vinyl: Waterproof vinyl flooring is as durable as it is beautiful. It is available in the form of planks and tiles and also features a wide selection of colors, designs, and patterns. Vinyl is also available in the appearance of materials like hardwood and stone. Carpeting: Thanks to advanced fibers and dyes, waterproof carpet is ready for the active family. This flooring material repels liquids and dirt. Available in different colors, styles, and textures, our carpeting is good for homeowners looking for comfort and strength in a single package. Are you ready to enhance the look, strength, and value of your home? Count on us to turn your remodeling plans into a reality. Our flooring store proudly offers waterproof installation services. We work with well-trained, skilled, and experienced installers to finish your project. By choosing installation by professional flooring installers, you can have confidence knowing your investment will look great and perform as intended. A properly placed floor ensures it retains its strength and appeal for years to come. Leave it to our flooring installers, and you’ll enjoy beautiful interiors according to your schedule. Contact us to learn more about our selection of waterproof flooring. Our showroom proudly serves property owners throughout Wooster, OH, as well as Orrville, Doylestown, Rittman, Smithville, and the surrounding communities in Wayne County.